Smarts Load and Go are a leading waste management company based in Norwich. We cover Norwich and the surrounding areas and offer a fantastic, no hassle waste removal service. With our service, there is no need for a skip or permit, we offer a free estimate, and if you want to go ahead, we load all your waste onto our trucks and take it away for disposal. Our service is a fantastic alternative to Skip Hire in and around Norwich and Norfolk. We now offer a Mini-Grab Service - No more shovelling into a skip, we can grab the waste straight from your site onto our truck and go. We can also drop off and collect Skip Bags (1 ton bags) for waste removal. We now also deliver all types of aggregates (sand, soil, shingle and more) in 1 ton bags or loose per ton. Our Grab lorry will pick up all waste, including brick rubble, soils, greenery, plasterboard and all mixed waste. We are available 24 hours 7 days a week and offer a same day service wherever possible. You can be guaranteed that when finished, all jobs are left neat and tidy. Our service is ideal for situations where it is difficult to place a skip. We do all the dirty heavy work for you so you don’t have to! Because we care about the environment we live in, all waste is disposed of in an environmentally friendly way and we ensure that anything which can be recycled, is recycled. Being certified waste carriers ensures we dispose of our waste legally including paying the appropriate fees to Local Authority Regulated sites. We can also take single items, part or full load. No job too big or small! Agreed discounted rates can apply for regular customers and contract work. 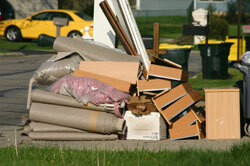 We will clear all types of waste from your home or place of work. We will come along and give you a price; if you are happy with this we will efficiently remove the waste for you!